Set of 6 stencils with the letters of the alphabet. Your children car write messages straight on the trampoline! Turn your trampoline into a giant blackboard! 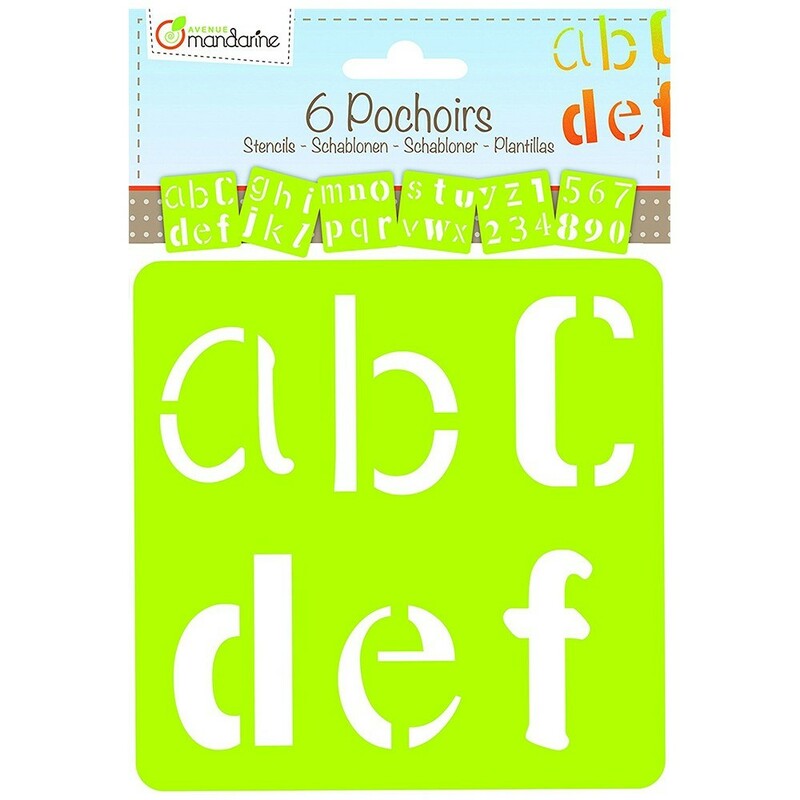 These 6 alphabet stencils are easy to use with our chalk sprays (sold separately), writing just became a fun game! - The can be used on your trampoline's jumping mat with chalk sprays, or on paper or other supports with pens, paint or crayons. - Pack of 6 matching stencils 15 x 15 cm with 26 letters of the alphabet and 10 digits with fantasy graphics.